Law enforcers say they are ready to facilitate socialization of this ethnic group. The National Police have decided to set up a working group to protect Roma rights in Kyiv. 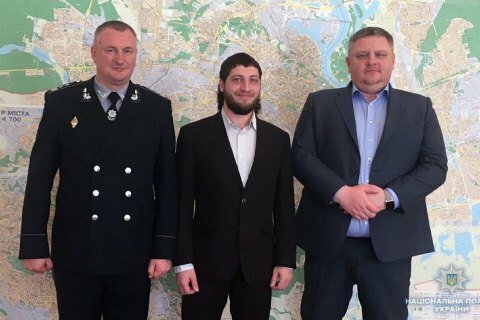 It will include representatives of local authorities, police and rights activists, National Police chief Serhiy Knyazyev has said at a meeting with Kyiv police chief Andriy Kryshchenko and the head of the Ukrainian Helsinki Group, Borys Zakharov. "This group is necessary as evidenced by the recent events in Lysa Hora [a neighbourhood in Kyiv]. To protect the rights of ethnic minorities inflicted upon by unknown individuals, the capital police together with government representatives and rights organisations will work out a joint action plan," the National Police said on their website. According to Knyazyev, law enforcers say they are ready to ensure public order and facilitate socialization of this ethnic group. "We are concerned about their lifestyle, living conditions, children's care, education and timely medical help. We are prepared to redirect the efforts of district police officers, add assistants and advisers to make sure that our efforts yield positive results in the resolution of these issues," he added. Kryshchenko recalled that the video of Roma families being violently attacked in Kyiv, which was published by LB.ua, gave police reasons to open a criminal case. Police called on the witnesses to come forward "because none of the victims turned to police". On 21 April, members of the C14 nationalist group dismantled and burnt down a Roma camp in Kyiv's Lysa Hora. According to Kryshchenko, it was garbage that was burnt not a Roma camp.